You do not need to suffer in this life when you are supposed to be progressing successfully from one achievement to another. No matter where you are in this day and age, it is time to do that thing which you think to be beyond your abilities. It is time to take full responsibility of your life and be successful in your own career or business. 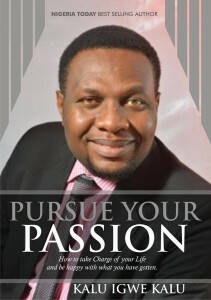 It is time to pursue your passion! In this Coup de maitre, Kalu Igwe Kalu takes you ahead of the game and street, ahead of intense, driving and overmastering feeling to have conviction in the reality of achieving anything that seems impossible or extremely different. From your personal life to your corporate arrangement and to your public life, this book will compel you to action and enable you to go beyond the depth of gaining results by effort and be extremely happy with what you have gotten. This work of genius will give you the courage of convictions to put your best foot forward, to live the upward and forward life only. It is time to carve a niche for yourself and be a leading light. The inspiration, determination, enthusiasm, ability and skills you need to perfect your dedication, responsibility, education, attitude and motivation are wrapped up in this package of extraordinary brilliance. Marriage is a Miracle! God made it so. Today, all around the world, more men and women have made commitments to spend the rest of their lives together with only one person. They have vowed that they will love, honor and treasure that individual as long as they live, whether things turn out good or bad. 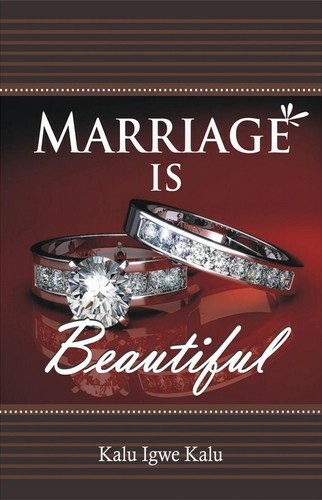 In Marriage is Beautiful, Author Kalu Igwe Kalu unveils to you the beauty of marriage. This book is a treasure chest of wisdom you need to put in your arsenal against pressure from forces threatening everyday to break and destroy the marriage you so much cherish. This masterpiece will teach you how to know and experience the beauty of marriage on a deeper level and participate in that which makes such continuing, beautiful marital relationship achievable. You will also gain knowledge of how to love and satisfy your partner in ways thatare out of this world. It is very beautiful to find out how to grow and flourish in matrimony; fostering a close bond and living with maturity that makes your marital relationship a safe place for each of you.